This mic is no longer available. 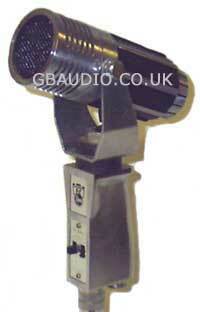 An unusual microphone with cast alloy body and adjustable, "hinged" stainless steel yoke with rubber shock mount. Lower half of the cast alloy body features an on/off switch, impedance switch, balanced mini 3 pin connector and integral thread mount for mounting on to a mic stand.